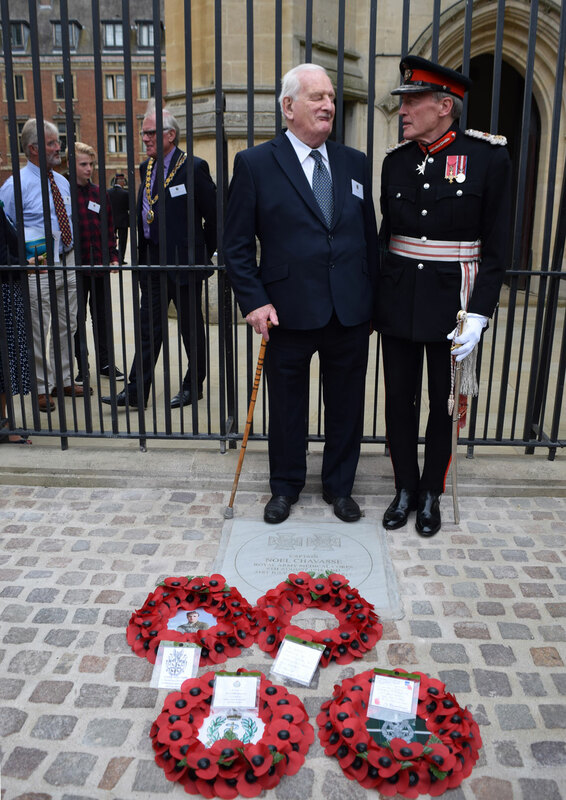 This Victoria Cross paving stone to Captain Noel Godfrey Chavasse VC was unveiled outside St Peter's College, Oxford, near where he was born, on 9 August 2016. Noel Godfrey Chavasse was born in 1884 at the present 38 New Inn Hall Street, Oxford on 9 November 1884 when his father was the Rector of St Peter-le-Bailey Church (now the Chapel of St Peter's College). He attended Magdalen College School in Oxford from 1897 to 1900, and then his father was appointed Bishop of Liverpool, and Noel transferred to Liverpool College. In 1904 he went up to Trinity College, Oxford, graduating with a First in Natural Science in 1908. He then read medicine at Liverpool and qualified as a Doctor of Medicine in 1912. 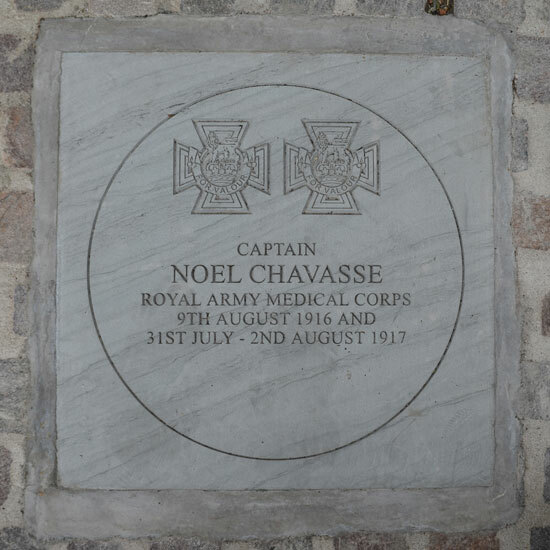 Chavasse served in the Royal Army Medical Corps, attached to the 1st/10th Battalion of the King's (Liverpool) Regiment. He won his first Victoria Cross on 9 August 1916 at Guillemont on the Somme when he attended to the wounded all day under heavy fire, frequently in view of the enemy, and rescued three men the next day, altogether saving the lives of at least twenty men. Then on 2 August 1917 at Brandhoek he won a bar to his Victoria Cross for repeatedly crossing no man’s land in search of wounded men, even though he was seriously wounded himself. Two days after this second brave feat, he died from the wounds he sustained: CWGC entry. CAPT. N. G. CHAVASSE V.C. M.c. WHO WEAR THE ROSE OF LANCASTER.